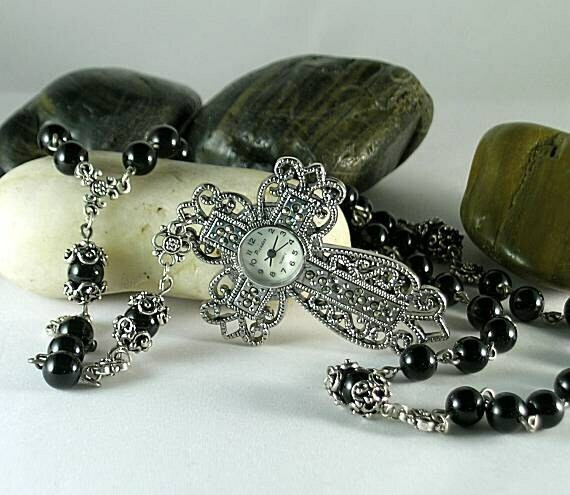 A watch rosary? 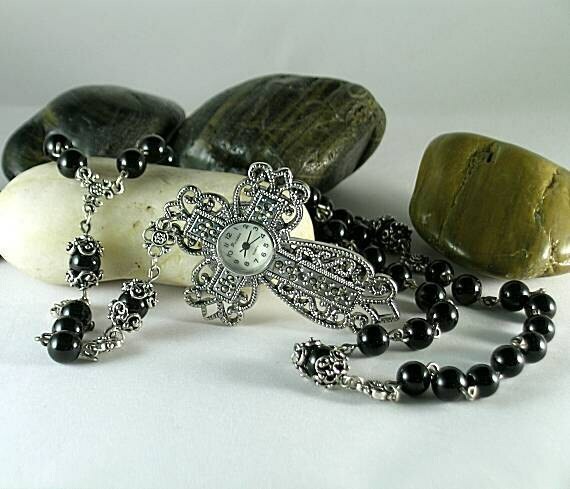 The rosary became standardized in the style of the Dominican rosary with 50 aves, 5 paternosters, 3 antiphon beads and a cross, after the Council of Trent in 1573. 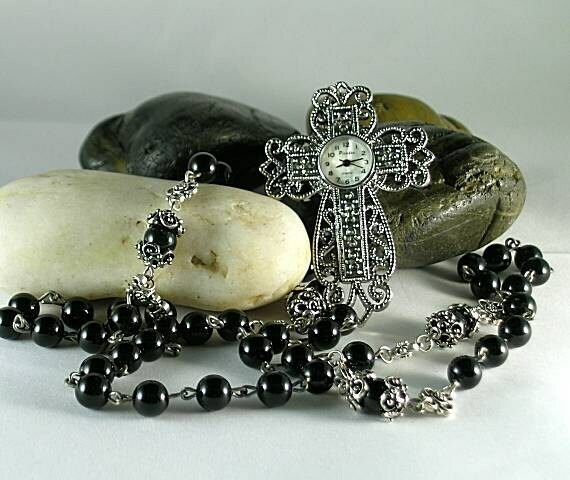 This large rosary consists of fifty 8mm black onyx beads connected with wire links. It has five 10mm onyx with bead caps on each side as paternosters with metal spacers dividing each decade. 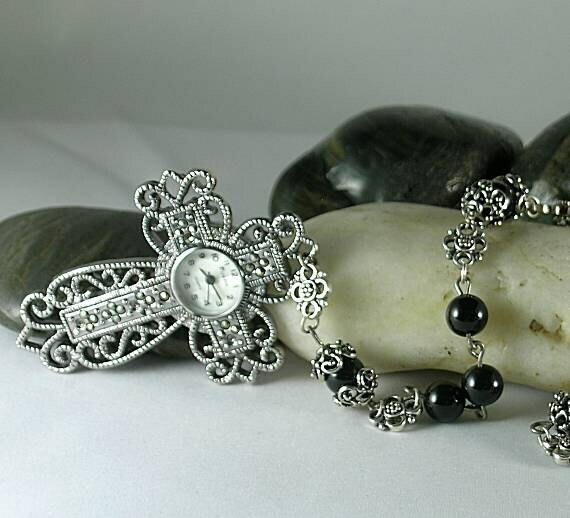 There are 3 onyx antiphon "pathway" beads above another paternoster and then the eye catching watch! It is battery operated with quartz movement and approx. 2" tall. Folded in half this rosary measures approx. 24 inches including the watch. 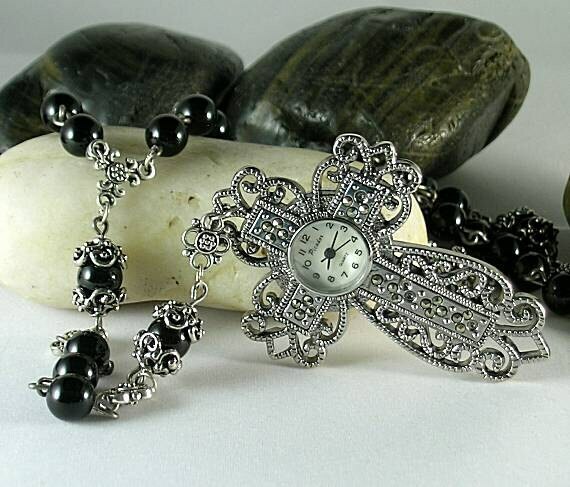 The watch can be purchased alone with a 28" chain for $40. Convo us, if interested.